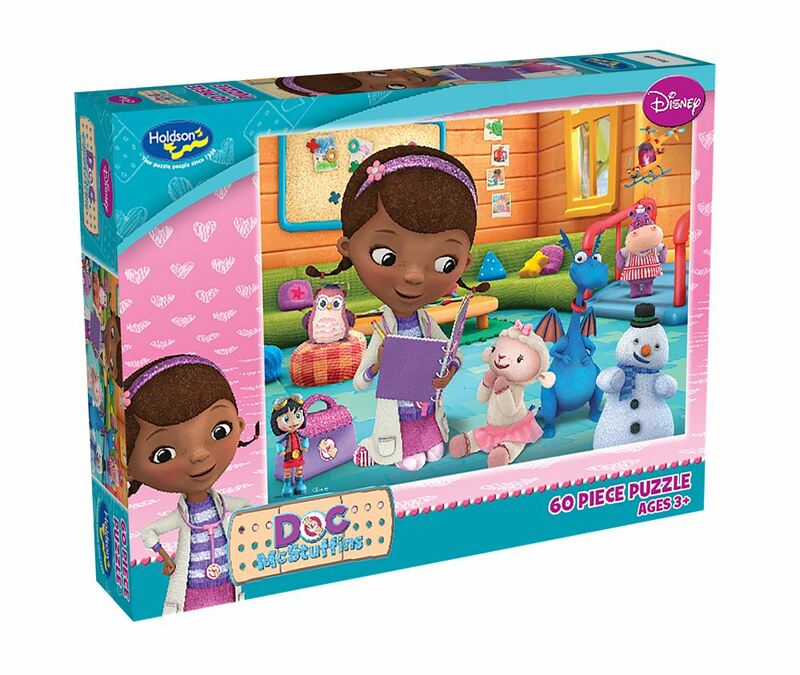 Help Doc McStuffin heal her stuffed animals and toys in her backyard clinic with this collection of 60pc boxed puzzles from Holdson. Titles include: Cutiest Little Caretaker, Doc Mobile Coming Through, Prescribe A Cuddle and Smiling And Cuddles. Each design sold separately. Collect all four designs. Age 3+ years. Made in New Zealand by Holdson. Approximate puzzle dimensions: 340mm x 240mm. Box size: 270mm x 190mm.